Preview: Fun Halloween food ideas for kids! 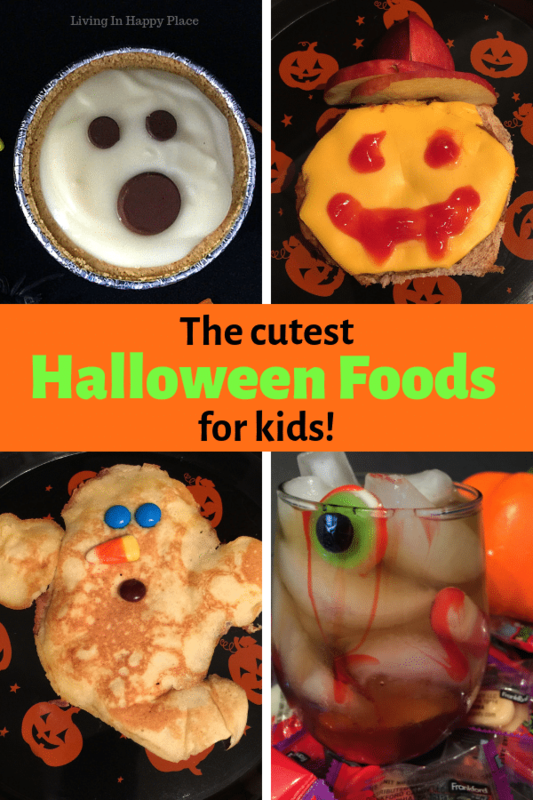 Looking for fun Halloween food ideas for your kids? Celebrate the Halloween holiday with ghosts, pumpkins, jack-o-lanterns, bats, and a little bit of love! These Halloween food ideas are so easy to make even the kids can help! With a list of breakfast, lunch, snacks, desserts, and even a Halloween drink, you can surely find a few ideas to make your child’s Halloween extra sweet! One of the most important ways we moms take care of our kids is surprising them with special things that bring huge smiles to their faces. I just love how excited they get over a ghost shaped yogurt snack! Oh, the innocence of childhood. I wish I could just bottle it up. I’m not sure how I got started making fun shaped healthy food for my kids. I use several little tricks to get them to eat healthily and presentation is high on that list. My middle child loves Halloween and talks about it all year. That may be why I ended up with so many Halloween food ideas for kids! They are all easy to make and most of them are no-bake because- #momlife! I hope that your kids love these ideas as much as mine do! What else could you possibly have for breakfast but ghost pancakes?! Don’t worry- he’s a friendly ghost! 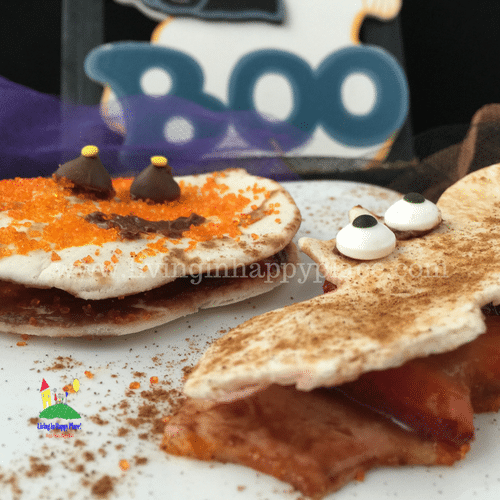 If you are looking for healthy Halloween food ideas for kids, these Halloween ghosts are healthy enough for breakfast and tasty enough for a snack! Try this as a protein-packed after-school snack! Witch’s brew is as delicious as it is easy! 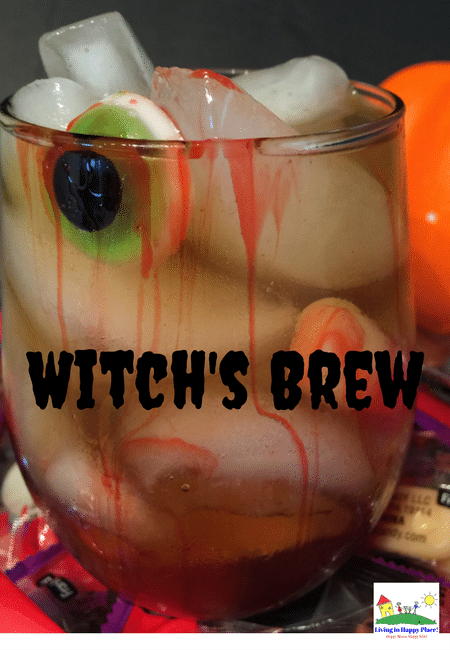 Just a few ingredients make this Halloween drink treat spooky and refreshing! It’s non-alcoholic of course and it would make the perfect treat for a Halloween party! Make a whole batch in a cauldron! Halloween Snackwiches!!! These cute, handheld snackwiches are really easy to make (the kids can even help) and you can make them in their favorite Halloween shapes. The extra treat for moms is that they are healthy but the kids will never know! 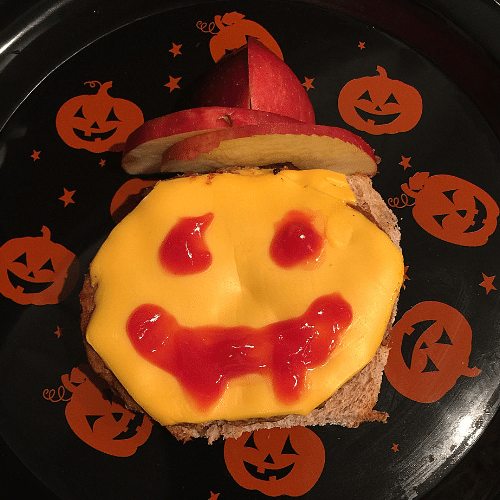 The kids will love this simple Halloween cheeseburger for a fun Halloween lunch or dinner idea! Halloween Dessert Cups! This is a no-bake treat that the kids would love to get involved in! 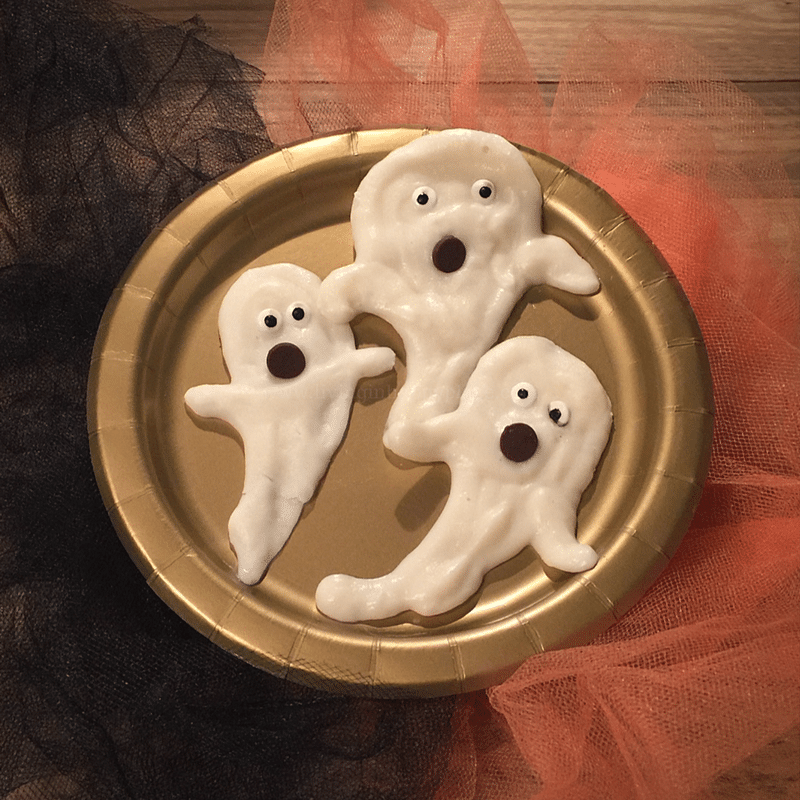 Give them some fun Halloween treat decorations and let their spooky imaginations create a fun dessert! 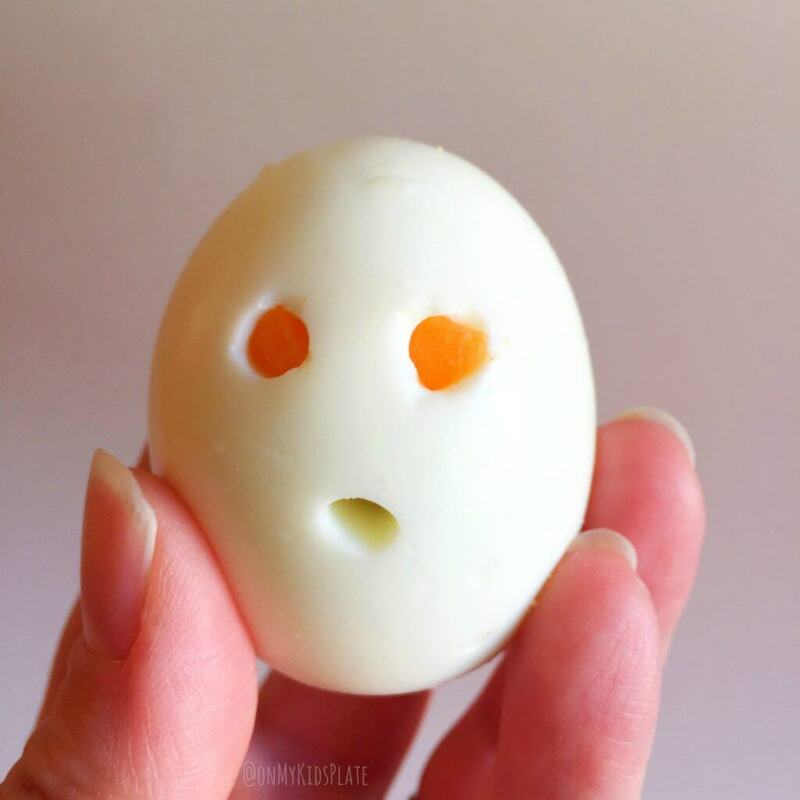 These Creepy Ghost Hard Boiled Egg Snacks from On My Kids Plate are the easiest healthy snack you can ever make for Halloween! I would never have thought of this cute idea! A bit a Halloween magic makes these easy, no-bake treat bars delicious and fun! I love these as a super quick treat busy moms can throw together as a last minute school party snack. This is a guaranteed hit you know everyone will love! 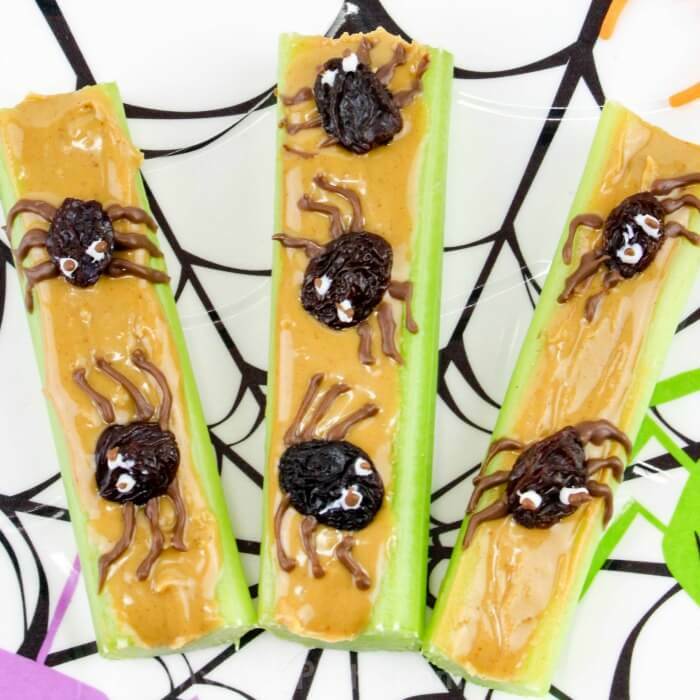 This is the perfect Halloween snack for after school! It’s easy, healthy, and full of protein! Now that is a full course of Halloween food ideas! You could throw a while party with these foods! 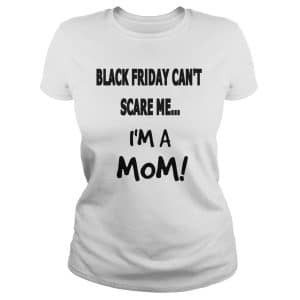 See, nothing can scare you, you’re a mom! As a mom, making these special treats for our kids is one of the most fun parts of motherhood. 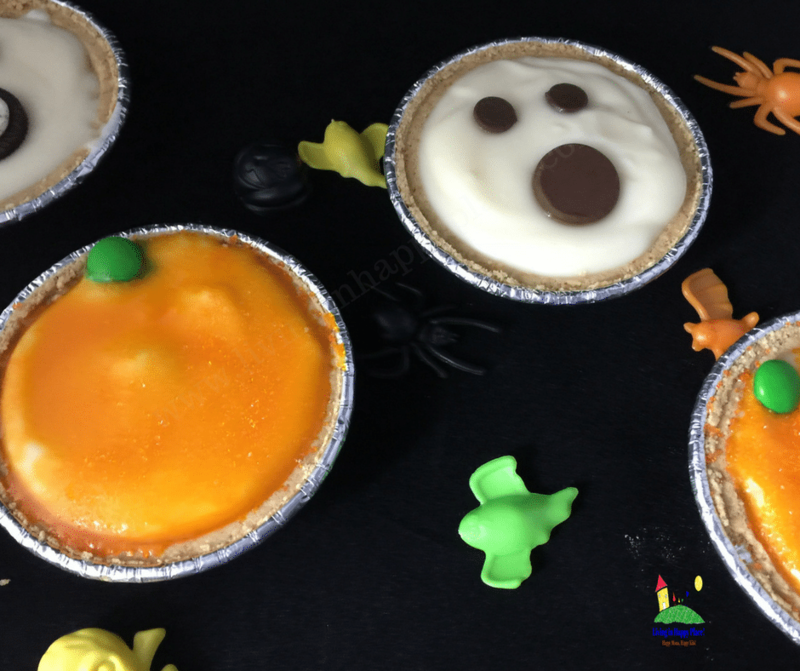 I hope these Halloween food ideas for kids gives you a few ideas to make this Halloween extra special for your little gremlins!